Pitcher Kevin Yarabinec has a 2-1 record with a 4.70 ERA. Yarabinec leads the team with 11 strikeouts and led the Penguins to a 5-3 win against the University of Milwaukee on March 15. Photo courtesy of Ron Stevens. 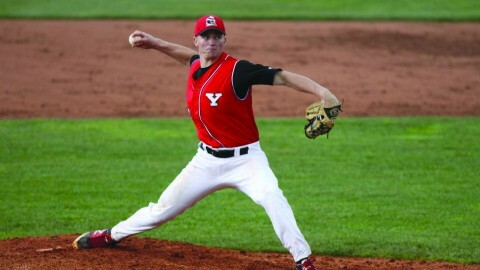 The Youngstown State University baseball team improved markedly on the diamond during the 2014 season, going 17-38 in the regular year, but it was in late May where the team turned it around — winning the Horizon League championship, along with an automatic berth in the NCAA Division I Baseball Tournament. 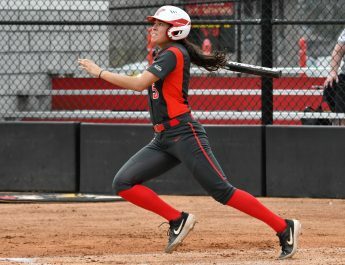 The team’s run in the Horizon League tournament was led in large part by the pitching staff. This season, the pitching staff is led by three promising sophomores. 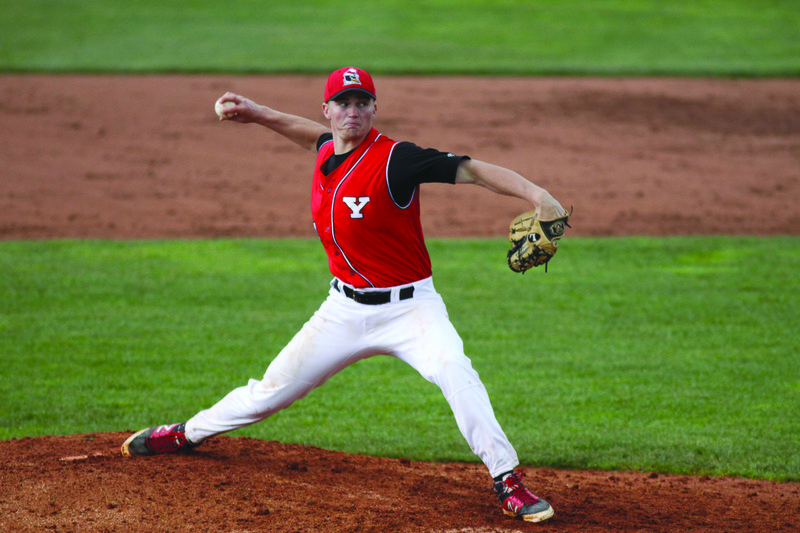 Sharpsville product Kevin Yarabinec, a 2014 Horizon League All-Freshman selection, was used as a reliever by YSU last year. In his 20 appearances a season ago, the right-hander carried a 2.22 earned run average with five saves and 24 strikeouts over 21.1 innings pitched. Yarabinec factored into four decisions, going 2-2, including a win in last May’s Horizon League Tournament Final. Hubbard native Ryan Smith made 15 appearances last year, carrying an ERA of 5.96 with 16 strikeouts over 22.2 innings pitched. Quinlan and Yarabinec have been thrown into an important role for the pitching staff. They have combined to start in six of the baseball team’s 10 games this season. Quinlan is 2-1 with a 5.65 ERA and has a team-leading 11 strikeouts to begin the season. He picked up the team’s third win this season after the Penguins defeated the University of Milwaukee 5-3 back on March 14. The pitching staff has struggled early this season, but Quinlan said he believes the pitching staff has improved this season. His teammate Smith agreed with him. “I think we’re going to have more confidence in this season,” Smith said. Even with the early difficulties, Yarabinec said he believes that the pitching staff can still pull it together by the end of the season. He said that the bullpen will be key to the team’s success for the rest of the season. Yarabinec has statistically been the best of the three young pitchers — he is 0-2 with a 4.70 ERA. In his last outing against Milwaukee, Yarabinec pitched 6.2 innings — allowing seven hits and two unearned runs. Smith also agreed that the baseball team has improved from last season.